Do you watch movies that are based on books that you've read? The Harry potter ones are the main example, but I also read the hunger games trilogy and then saw all the movies. There is also a trilogy being made into movies called the maze runner (their only 2 movies in thats why I said being made). I am sure there are others, I just can't think of anymore off the top of my head. Honestly couldn't tell you, after reading all the books and watching all the.movies it is just one big story to me. As such I guess you could either say I don't have an indiviual favorite, or that they are all my favorite. the admins and mods are arguing over how to run the forum. Too much drama for me so I want to quit the forum but have been unable to figure out how to do so. This is not the place for support. Please post a topic in the correct support section (Other Problems). My favourite HP movie is Goblet of Fire, but book would be Order of the Phoenix. They cut a bit out of the movie for that one. Just want to stop by and say hi. Hope you all are doing well. Vanityy wrote: I miss it. Hey buddy!long time no see , glad you stopped by... keep in touch. @BlackScorpion How are you? Have you seen any good movies lately? @JennyorAlice wrote: @BlackScorpion How are you? Have you seen any good movies lately? Im doing good, too busy to watch movies , i'm afraid. Work and life are keeping me very busy. How have you been? There is, just no one seems to use it anymore cause everyone has started their own threads. @brandon_g wrote: There is, just no one seems to use it anymore cause everyone has started their own threads. Yeah, I kinda miss the good old days where you answer tons of question from active members on the support forum. I've been doing good. Thank you for asking. Do you and your family celebrate the 4th of July? Do you guys have any plans for the holiday? I celeberate 4th of July. If I am not working, I might go with my family to watch fireworks. Sure we do, we BBQ,okay game and swim, depending on the weather and shoot off fireworks at night, I mean doesn't everyone celebrate it? It is a free excuse for barbecue, fireworks and either a day off from work or a half a day off from work. If that isn't something to celebrate, I dont know what is. @brandon_g wrote: It is a free excuse for barbecue, fireworks and either a day off from work or a half a day off from work. If that isn't something to celebrate, I dont know what is. Some people do not get July the Fourth off. This year it falls on a Wednesday. @SLGray wrote: Some people do not get July the Fourth off. This year it falls on a Wednesday. It's true, but alot of places will be open only half day (not everywhere, but some places). Any place that honors federal holidays will be closed also. It is true though, places make people work holidays, it is a shame really. Could you please tell me, *with* explanations *iF* possible, just what the 2 different BOTs (on mY forum) means or is all about. In the future please open a new topic in the support section, this topic is not meant for support. now you've got me, how is this a support question? just looking for understanding of the issue from those that may have already dealt with or been confused by THAT BOT issue. IF a support question~ please ... explain? This topic is not for support. It is to get to know the staff members better. What you asked was a question about something on your forum, therefore it counts as a support question. 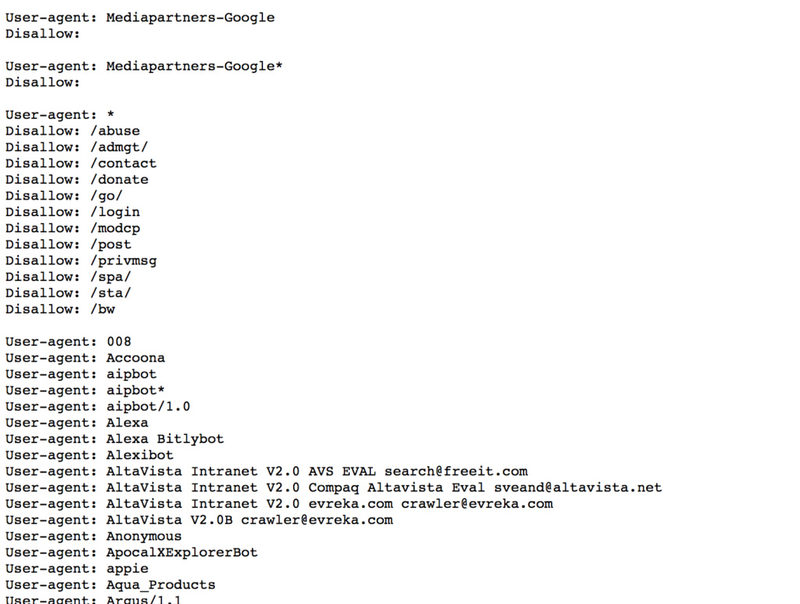 All bots do is index your forum search engines, they harm the forum in anyway and actually help your seo. That is what they do and thats what is explained in the tutorial I linked you to if you read it. Get to know the staff ? do *U* think I would have posted the results of /robots.txt.... without having read....... your link 1st ? If so, strange man in support... are *U*. "All bots do is index your forum search engines, they harm the forum in anyway and actually help your seo." *i* was NOT complaining about them being there. IN FACT to *mE*, considering *i* have not yet opened mY Forum to the general pop.... *i* feel very, VERY VERY honoured indeed. AND DANGERS THERE *are*~~~ IF *u* lOOK again at that link. Well you asked specifically about the bots that show on the bottom of the forum. All those bots do is index. I believe we have answered your question. I hope you have a nice day and again in the future please post in the support section for this type of question. Has anyone read any good books lately?